A little while ago we published a post titled Fax Broadcasting Made Easy to give you a few helpful tips for marketing your products and services via fax. Today we look at few rules and tips to help you stay out of trouble when using this method of advertising. Many companies and individuals have had lawsuits raised against them because they contravened some regulations pertaining to email and marketing. In the USA a company was sued for sending unwanted marketing message through fax. They argued that according to Title 47 of the United States Code of Federal Communication it is unlawful for a person to send unsolicited marketing communication to another using a computer, fax machine or telephone. If this happens, you could actually be eligible to collect $500 in damages from the offending party. Later on the law was amended, the new law cited that unsolicited messages may be sent to businesses who have a prior relationship with the receiver. In South Africa however, we are guided by the Electronic Communications and Transactions Act of 2002 as we do not have a specific Anti-Spam Act. 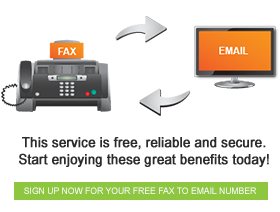 Even though the idea of sending fax to email marketing is exciting because you will be sending messages to businesses in your own database and you know that your product is relevant to them and their businesses. Do not forget to take into account what the law says to avoid getting yourself into trouble.